When we are serious about recovering from abuse and the resulting trauma, we need to make an extra effort to take care of our bodies. During prolonged, overwhelming, ongoing and seemingly inescapable abuse, trauma gets stuck and stored in the cells of our body. The good news is that the body CAN heal and our nervous systems can be rewired. 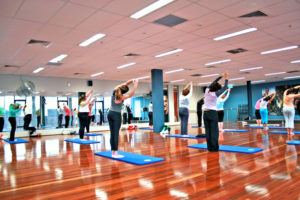 Yoga: Yoga helps us to get in touch with our bodies. When I feel that I have stress and anxiety building up in my body, I crave the opportunity to do yoga and stretch it out. During the 4F (flight, fight, freeeze, fawn) response to a threat, the body tightens and contracts. Stretching helps to resolve this. Singing: Relating to a song and getting lost in the lyrics can be an effective way to process our emotions. Expressing emotion: Tears can be very relieving. Toxins are released from our bodies in the tears when we cry. Comedy: If you keep a diary of anything that makes you laugh, then you will be able to look back at it whenever you feel like it. Laughter is a great stress buster. Journaling: Writing about what you are feeling and experiencing is another great way of processing what is going on and releasing stress. Making a Connection: Speaking to someone who you trust, who is validating and empathic, can help us to feel supported, understood, cared for and worthy. Ask ourselves when we felt this way before: When we experience a painful emotion, we can ask ourselves what this feeling reminds us of from our past. We can then process the event and heal the past trauma that is exacerbating our painful feelings. Breathe: This is linked to yoga and meditation. There are also special classes that you can find for types of breathing, such as Transformational Breathing. Have Faith in the Process: Trust the natural healing process. We couldn’t possibly heal in one day, as this would be way too much of a shock for the body to cope with. Trust that we receive what we need when the time is right. Rather than worrying about the end goal, what matters is who we are becoming in the process.